Nathan Smith of Rock Solid Concrete Artisans in Charlotte, NC, went back to working with concrete, but in a different way than he started. He started working with concrete alongside his parents when he was twelve years old. After serving his nation in the US Army as a medic from 1998 through 2005, he stayed in the medical field for a while, but later decided to go back to his roots. Nathan launched Rock Solid Concrete Artisans in 2013. By 2014, his brother had come onboard and, this year, the pair has seen a noticeable increase in the amount of business they’re getting. Combining a versatile material with a flexible attitude and approach to the business have proven to be a winning formula for growth. 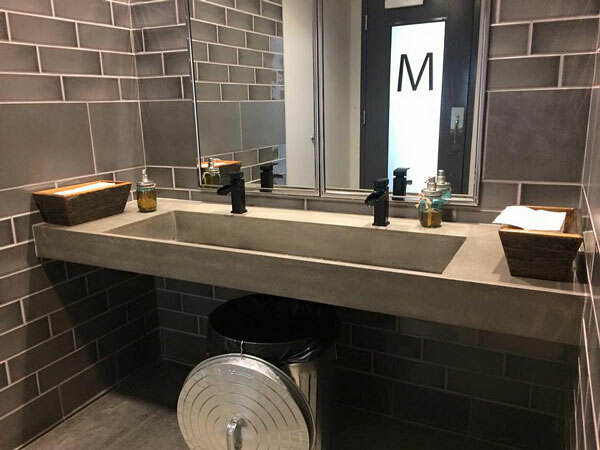 Concrete countertops are widely marketed based on the degree of flexibility they offer, something Nathan acknowledges as a major selling point, even though concrete work—at least at an artisan level—is not inexpensive. 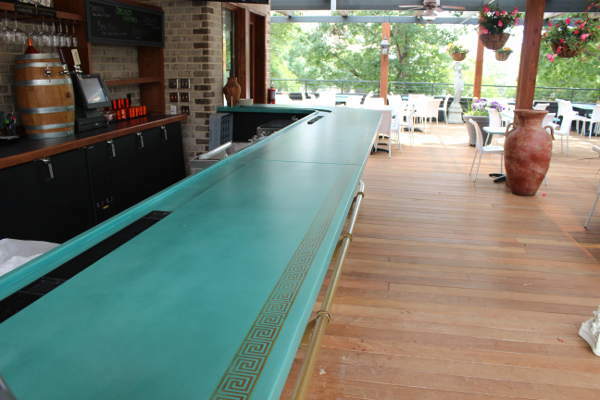 One of Rock Solid Concrete Artisan’s projects, a bar top with a Greek design, demonstrates that. There are two versions, one blue and one green. Both are distinctive, and the selection of concrete came from the client’s need to have specific features incorporated in the design. The project was completed in approximately one week, as the final details weren’t delivered until then, making for a short deadline. For Rock Solid Concrete Artisans, such tight deadlines aren’t uncommon, but the company has adapted to accommodate them. “We usually stay awake really late at night for about a week and get everything knocked out for them,” Nathan said. The result was excellent, despite the tight schedule. Nathan says that being able to deliver exactly what a customer had in mind is one of the best parts of the job. Nathan said, in his experience, familiarity with concrete countertops varies among the public. Some people are surprised to find out what can be done with the material. The best customers, however, are typically very well informed by the time they get in touch. “Anybody that calls me has usually done their homework,” he said. 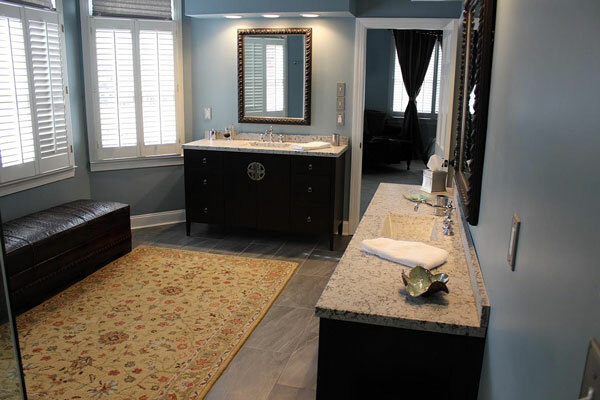 Concrete countertops have become particularly popular in high-end homes. Ramp sinks have been big sellers, as well. 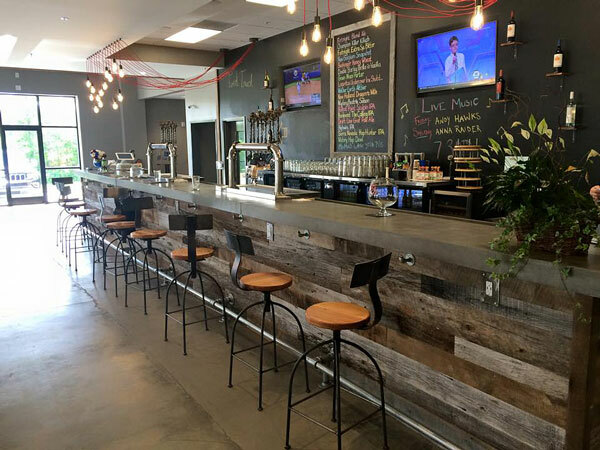 Nathan’s company recently installed one for a brewery. Nathan’s background in concrete prior to moving into countertops involved doing brick work, driveways and similar jobs. His first project building a countertop was for his own use, based on a CCI home course, which he modified a bit by casting the piece in place rather than in his garage. Casting it in place left him with a result that he wasn’t entirely happy with. That motivated him to take more courses from CCI to hone his skills. As some advice for those just starting out, Nathan recommends growing intelligently. “Don’t try to jump into a shop right away. If you’ve got a garage, work out of that for a while if you can and do a few small projects for friends and family members. Really hone your skills,” he advises.